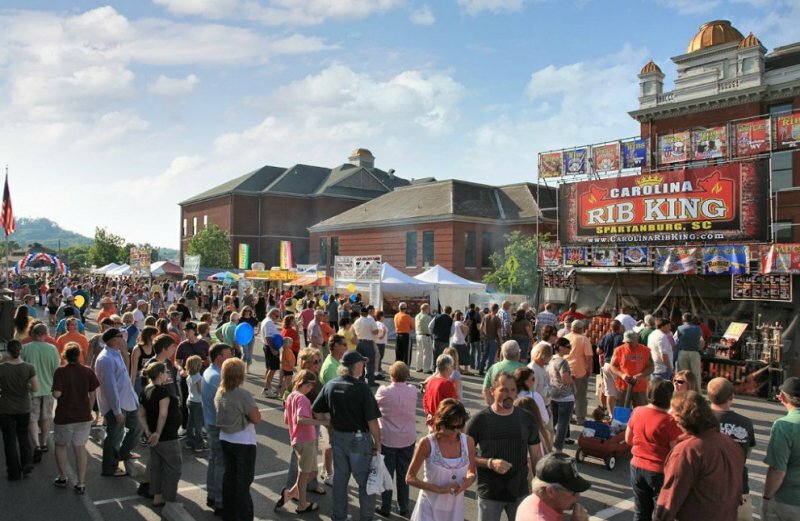 This Friday and Saturday, join the street fair in downtown Sevierville and revel in two days of world-class bluegrass music. Mix that up with a barbecue competition that draws experts and cook teams from across the region and the country, competing for cash and the state champion title with their best recipes and award-winning barbecue dishes. 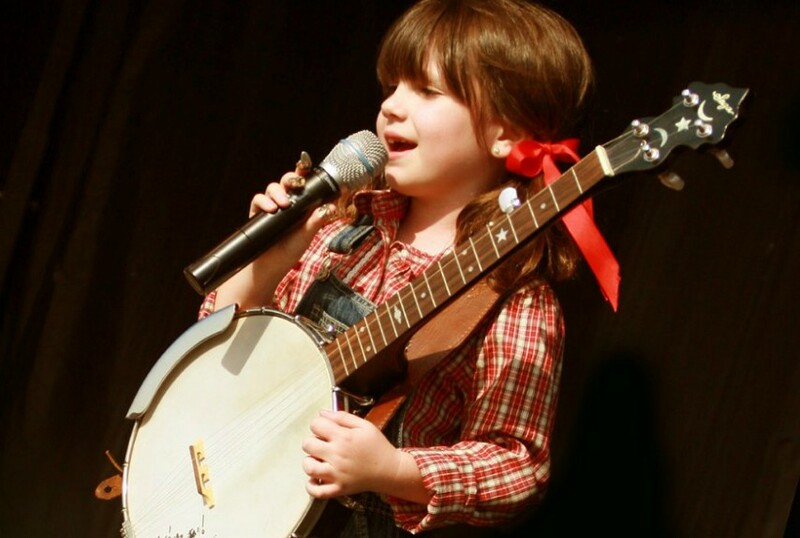 It’s the 9th Annual Bloomin’ BBQ & Bluegrass festival, the largest event in Sevierville and celebrated as a star performer in the town’s Smoky Mountain Springfest. The event draws many thousands of attendees and has been named Festival of the Year by the Southeast Tourism Society. This free festival is family oriented and also features children’s activities and arts & crafts. On Friday and Saturday let the aromas drive you nicely crazy as competitors get down to business and the vendors bring out their finest treats (ice cream counts as barbecue, right?). 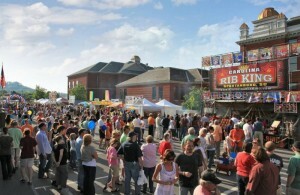 If you ever thought barbecue was ordinary food, you need to taste your way through this festival! It’s a place to learn too, as both the American Grillmaster Experience and the Great American BBQ Tour will be sharing tips and tricks for the rest of us to, uh, beef up our own cook-outs this summer. This year the legendary bluegrass supergroup Bluegrass Album Band joins with a host of other great pickers and players performing for all to hear for free. The music starts on Friday evening and runs all day Saturday, culminating in the Bluegrass Album Band’s free concert Saturday night. Check the great lineup and schedule here. The festival offers even more variety in music with the Hard Rock Cafe Community Stage in the eating tent and a dance contest Friday night. And the ever popular Mountain Soul Vocal Competition hosts contestants from around the nation performing their choice of the more than 3,000 songs written by Dolly Parton (one of the country’s most prolific songwriters, as well as a Sevierville native). This is a festival to catch for two delicious days of fun, and if your mouth is already watering, you won’t be disappointed. For more information check the event web site.